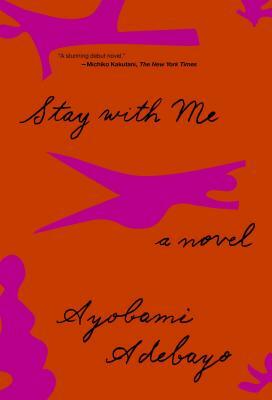 It may be hyperbolic to say that a book could leave one breathless, but in many ways, that's exactly what Stay With Me did. Yejide and Akin love each other dearly and in 1980s Nigeria, this love is a luxury. What follows is a decades-long story of what it takes to hold a bond like their's together. Yejide and Akin want nothing more than to start their family, but when it seems that wanting somethin gthat badly comes with many costs, the two struggle to define their own roles in a world that has seemingly already decided for them. Adebayo's debut is a spirited, big-hearted tale about the bounds of marriage, the ties that bind us to history, and the unforgiving love that is parenthood. This book is magnificent.